Judy Galbraith’s magazine writing class at Paradise Valley Community College received a visit from guest speaker Sarah Fenske, Phoenix New Times staff writer. With 10 years experience as a journalist and five-and-a-half years with the New Times, Fenske shared her experiences over the years, gave students journalism tips and answered questions. Journalist Sarah Fenske speaks to Paradise Valley Community College magazine writing students. Eric Blehm writes a splendid book on the first U.S. elite soldiers to enter Afghanistan after 9/11. 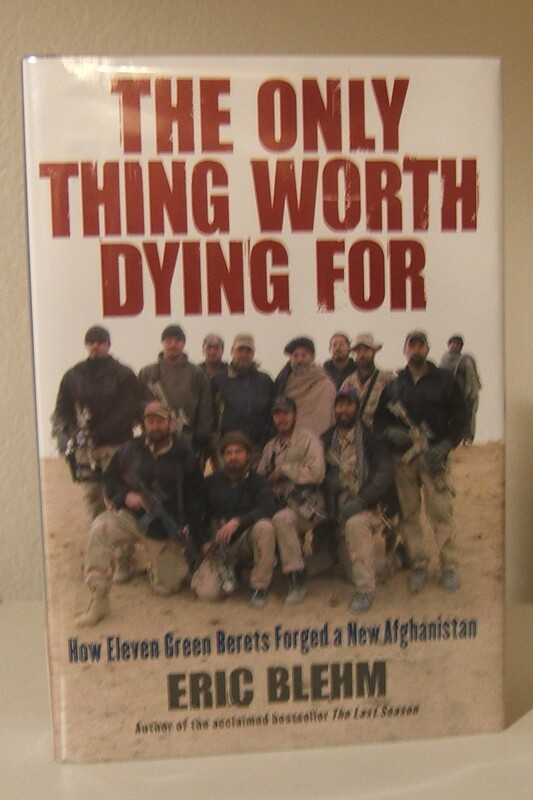 Eric Blehm’s new book, “The Only Thing Worth Dying For,” takes readers on a journey with eleven Green Berets as they become the first to enter Afghanistan after 9/11.